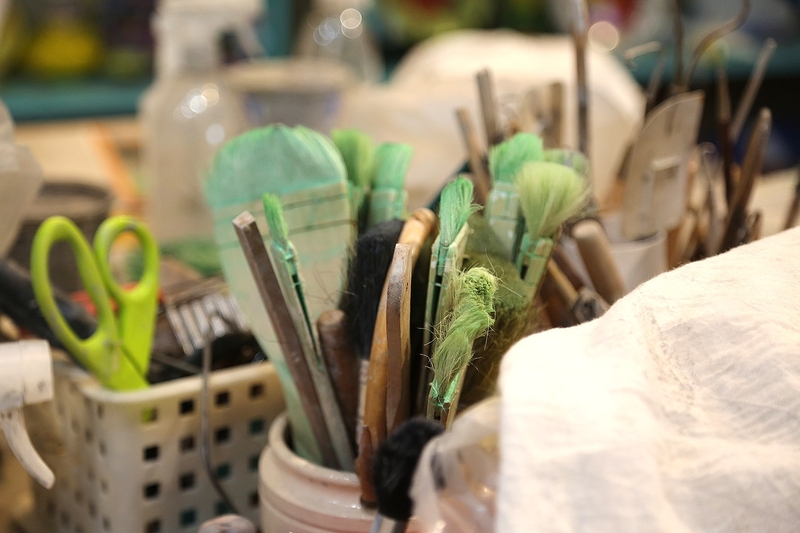 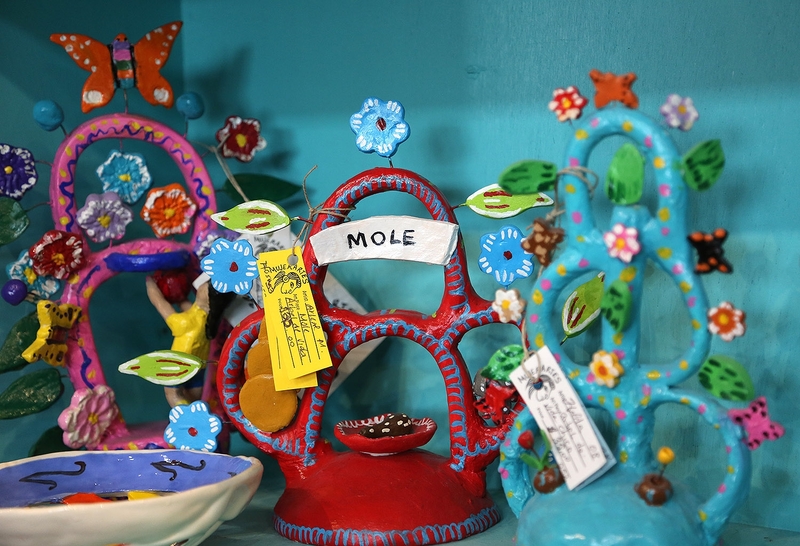 MujerArtes, the women’s clay cooperative on the near West Side, is hosting an exhibit and open house called Handmade Con Amor 11 a.m.-3 p.m. Saturday. 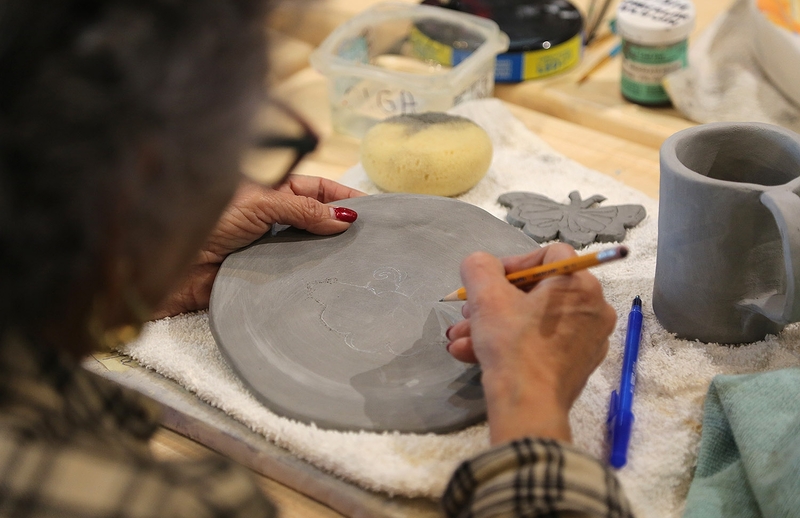 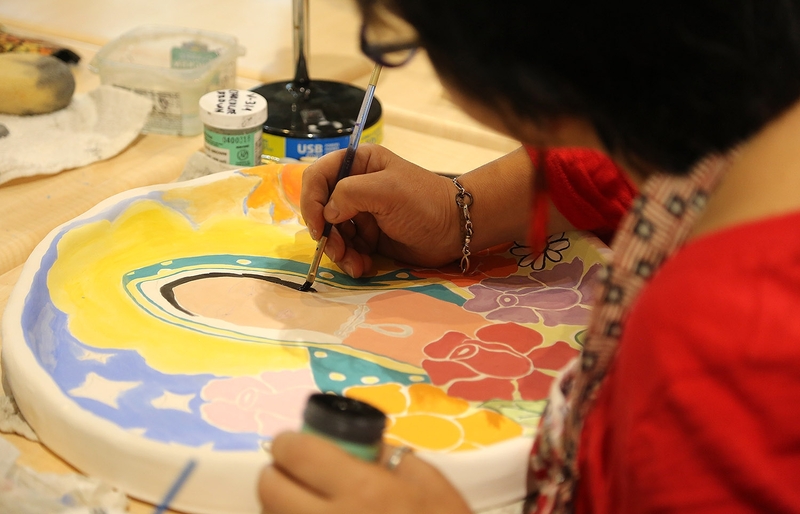 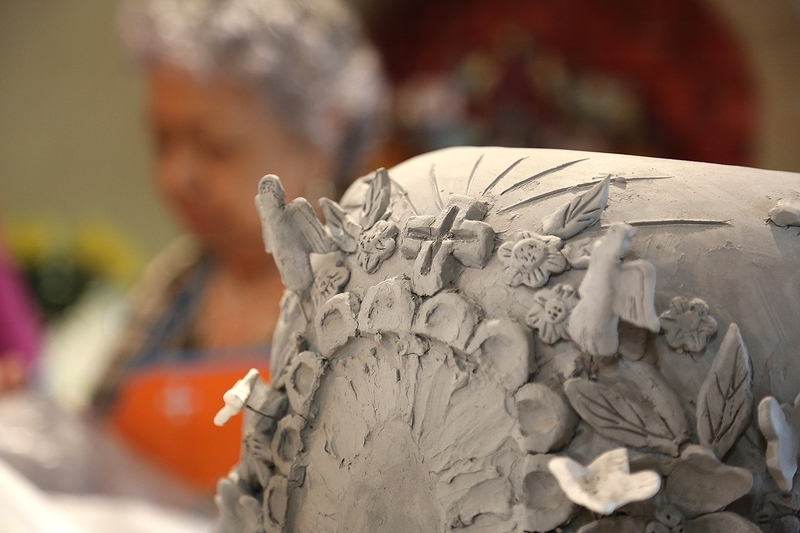 The program, which the Esperanza Peace & Justice Center started in 1995, gives women who are predominately from the West Side a space and platform from which to showcase their artistic talents—clay creations of plates and mugs, vases, Trees of Life and other sculptors, and various monitos. 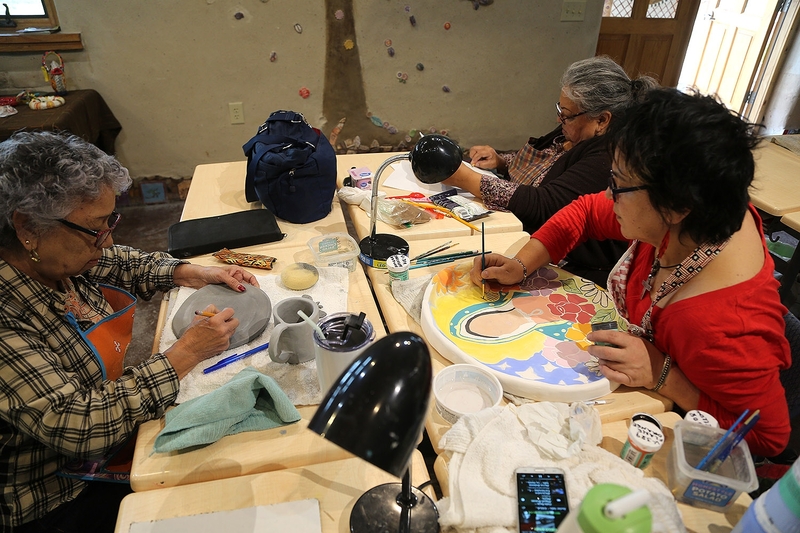 The program is housed in an adobe commercial building at Rinconcito de Esperanza, 816 S. Colorado St., which opened with the MujerArtes program in 2017. 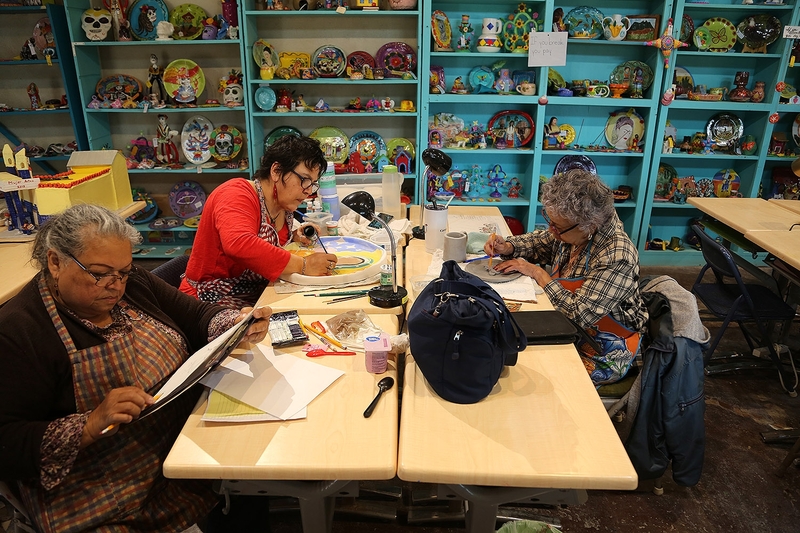 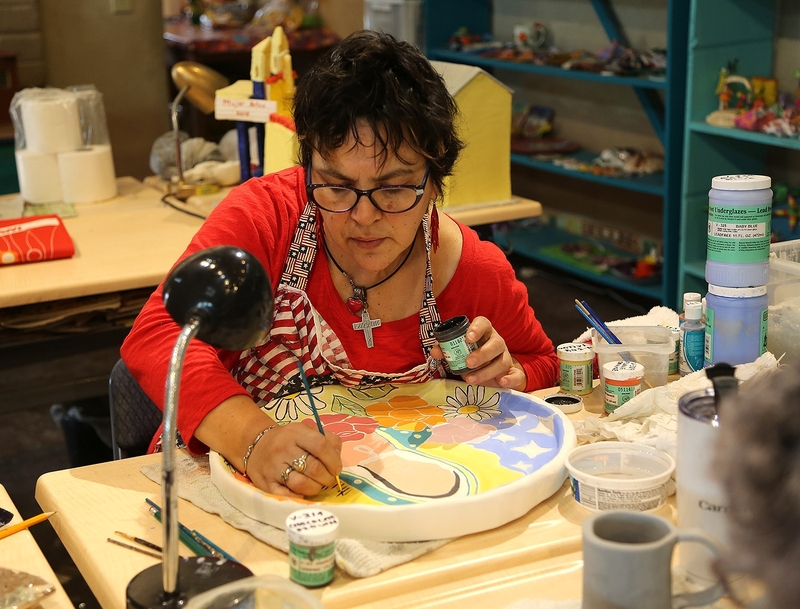 Before this studio, the women—about 15 are enrolled in the program—worked out of a historic home on El Paso Street a few blocks west for more than 20 years. 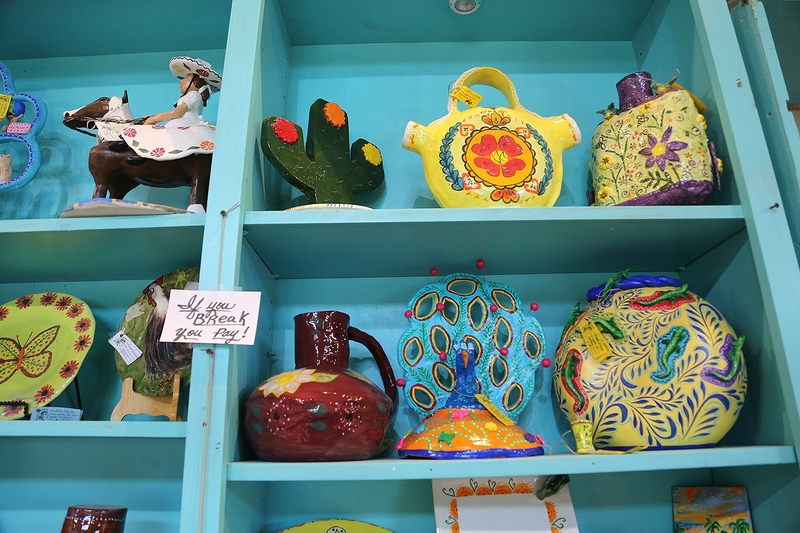 Items purchased from the studio support the women and the program. 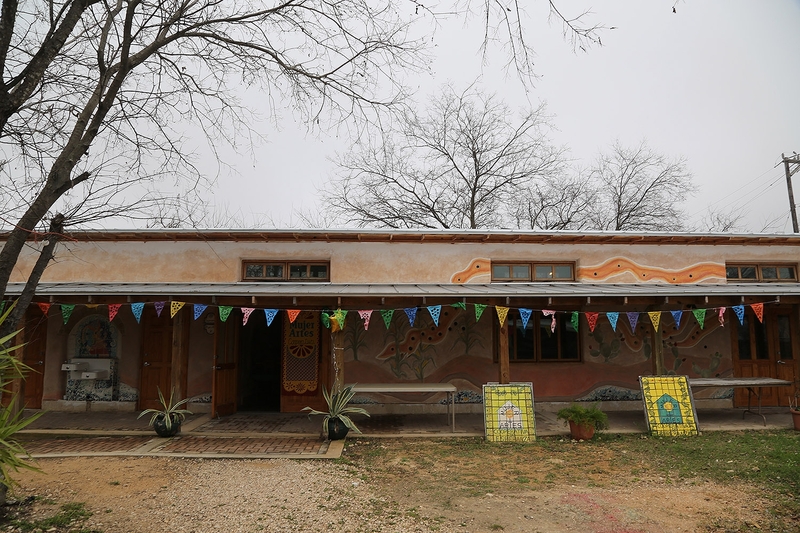 The Esperanza doesn’t make a profit, and instead puts its share back into the materials. 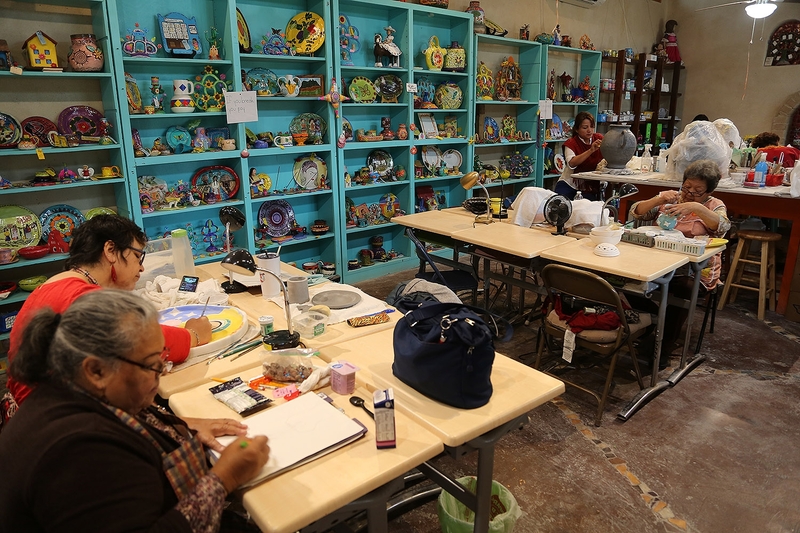 When we visited the group last Saturday, some of the women were working on large ornate pots, which will take them weeks to mold, build, decorate and glaze. 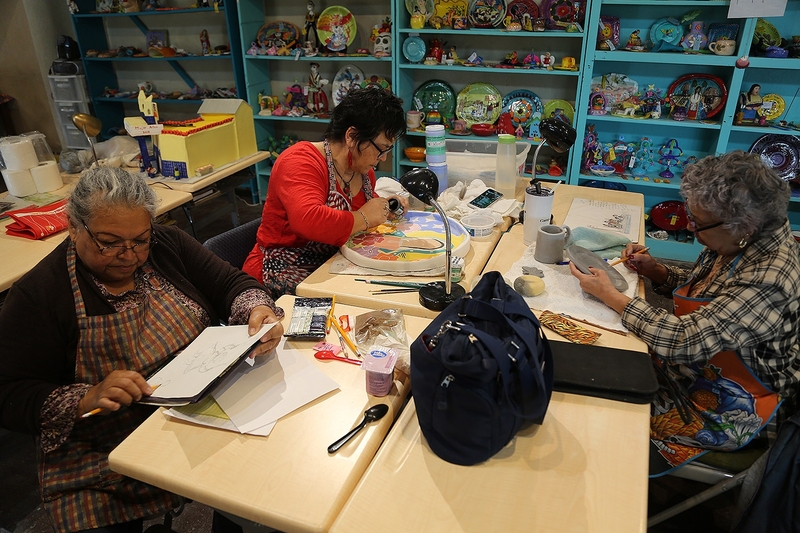 They’re hoping to have those prepared for a big sale ahead of Mother’s Day on May 12.